Since Babe Ruth walked pigeon-toed to home plate, baseball has been synonymous with summer. While the other mainstream sports in this country fight for time during the other seasons on the calendar, baseball has cornered the market on June through August. It's not the national pastime for nothing. But a funny thing was going on when it came to youth baseball in New York City. Fields were available, the weather was conducive but there were no kids on the diamonds. For the majority of the second half of the summer, many youngsters had either completed their respective Little League or travel seasons or simply didn't have any outlets to play ball before heading back to school. That's where the founders of the Borough Cup stepped in to fill the void. The team -- headed up by former Mets closer John Franco and longtime baseball executive Gary Perone -- started the Borough Cup in 2014. The ambitious citywide endeavor was designed to bring together some of the best youth baseball players in the five boroughs. And what the Borough Cup would have going for it made it unique among all other tournaments. The payoff would be that the 13 and 14-year-old division finalists would play for the championship at Yankee Stadium. Ages 8 through 12 would compete for all the marbles at MCU Park in Coney Island, home to the Mets' affiliate, the Brooklyn Cyclones. That's still the case in 2017 -- as the two older divisions will take the field at Yankee Stadium on Thursday, Aug. 10 and the other division champs will be crowned at MCU Park the following Tuesday, Aug. 15. Now in its fourth year, the event has continued to grow and become a success. Not only that, but the showcase has received the backing from Major League Baseball, Minor League Baseball and the MLB Players Association -- the latter of which has given the Borough Cup a Youth Baseball Partnerships Grant, recognizing how important such an initiative is to securing the next generation of fans and players. "The Borough Cup is a great youth initiative," said former Mets GM and current Special Advisor to the MLBPA Omar Minaya, who was raised in Queens. "It brings out the competition and pride of neighborhoods we have all experienced growing up in New York. I love attending it." 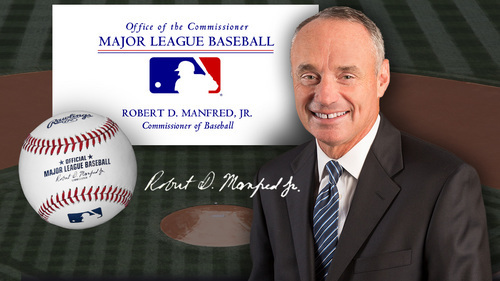 MLB Commissioner Rob Manfred is also thrilled about his league's partnership with the Borough Cup. "Major League Baseball is pleased to support the Borough Cup, an event that allows young people throughout New York City to play baseball. We appreciate that the Yankees, the Mets, John Franco, Gary Perone, and others have continued this youth tradition in New York. Thursday should be an exciting day and all participants will have lifelong memories of playing at Yankee Stadium said MLB Commissioner Manfred." Next Tuesday, the younger players will cherish the experience of competing at the home of the Brooklyn Cyclones, the New York-Penn League affiliate of the New York Mets. "The Borough Cup is a tremendous citywide initiative that has quickly become a source of pride among the five boroughs and encourages young people to play the great game of baseball," said Minor League Baseball President and CEO Pat O'Conner. "Minor League Baseball is proud to have Borough Cup games played at one of our finest ballparks, MCU Park, and commends the efforts of the Brooklyn Cyclones and Gary Perone to grow the game of baseball in their community." For Perone, the Cyclones' assistant general manager and a baseball lifer, getting the entire city on board for the Borough Cup has been an arduous yet rewarding task.
" The Borough Cup is a citywide initiative to strengthen our communities, kids and fields. The group that we have -- Zach (Bright), Ben (Pinczewski), Nicholas (Pinczewski), Philip (Maldari), Stephen (Hart), Frank (Delgado) and myself -- are making sure that we do everything the best we can to get everyone on the same page. "Other out of state and local tournaments are charging astronomical numbers and we have done this at an affordable cost, this is to ensure that we cover expenses and keep kids playing -- and if the Mets, Yankees, Cyclones, MLB, MILB and the MLB Players Association see the value, and the purpose, everyone who runs an organization should start seeing it, as well. My job has always been bring everyone together, and I learned working in the industry no one organization nor one coach is bigger than the game. And now with everyone on a national level knows, we just hope our local organizations really understand we want every kid in each borough to be part of this ."